You chose a career in the field of healthcare because you care about improving patient outcomes. Unfortunately, there are sensitive guidelines governing their medical records that turn your caregivers into administrators—chasing down providers for the records while fulfilling numerous status updates from requesters. Not only does this take valuable time away from patients, but it may also delay and hinder their care. After all, some patients simply can’t wait two weeks for their records to arrive by mail and others don’t have a fax machine available. 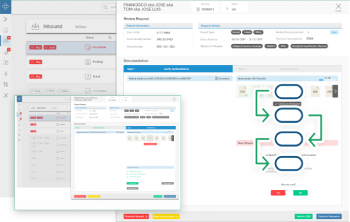 Simplify the medical records release process and improve the patient experience with ChartRequest. Our app empowers your patients to request records in under two minutes. Tired of missing medical documents and frustrated patients who wonder where their records are at? Create a win-win that betters the patient experience. 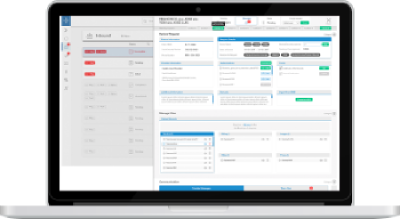 ChartRequest makes it easy for clinical professionals to retrieve records—and empowers patients to track requests from their cell phone or computer. Spend less time doing office work and more time doing what you love. 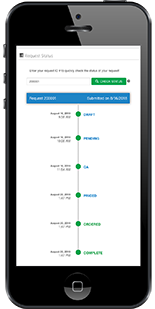 ChartRequest provides release of information workflows that operate on autopilot so your teams can get back to what matters most—your patients. See how we make record retrieval easy . When it comes to medical records, phone calls and emails can be a big time-waster. The good news? With ChartRequest, you’ll do more than improve the patient experience. You’ll bring release of information workflows into the 21st century. 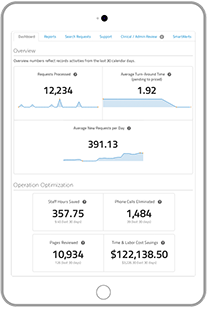 Consolidate inbound and outbound requests in a single platform, and enjoy a swift turnaround time. Let ChartRequest simplify release of information and record requests. Ready To Refocus On the Patient Experience? Check Out ChartRequest for Yourself.